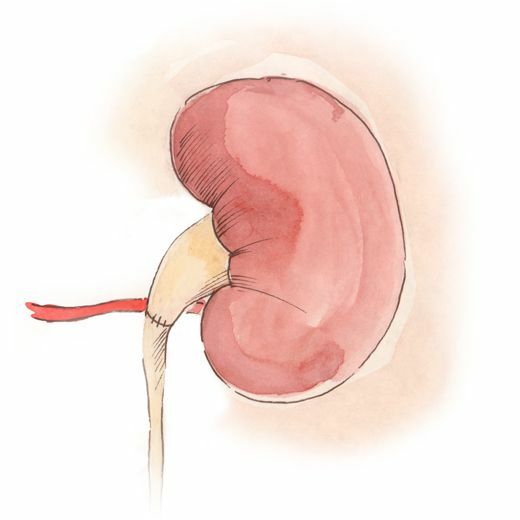 Hydronephrosis is a kidney condition which manifests as widening of the renal pelvis and calices due to constriction of renal ducts which leads to the kidneys dying. In this article I will tell you about the problems caused by this condition and modern method of treatment which is laparoscopic hydronephrosis surgery. Specific characteristics: hydronephrosis belongs to a group of conditions that are commonly called a “Silent Killer”. It would seem there is nothing sinister about the widening of the renal pelvis and calecyal kidney system? In most cases the affected kidneys do not cause much discomfort. They first increase in size and then loose their function and fail. Presence of infection speeds up the process of this organ’s failure. 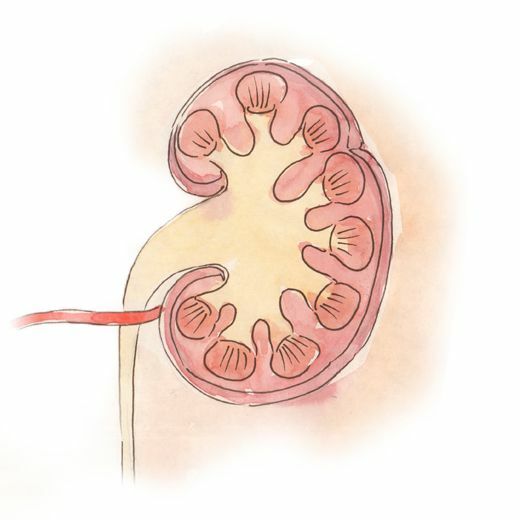 The cause of hydronephrosis is usually a small constriction of the renal duct, which can be caused by a constricting blood vessel for example, but unfortunately sometimes other contributing constricting factors can be seen such as retroperitoneum, bowel or uterus tumours which in turn block the renal ducts. -Laparoscopic surgery for hydronephrosis is the “gold standard” of hydronephrosis treatment. It’s a highly effective method without insicions, pain and ugly scarring. -Urethral stenting and paracentetic nephrostomy – are the minimally traumatic methods which we use to drain urine in two cases. 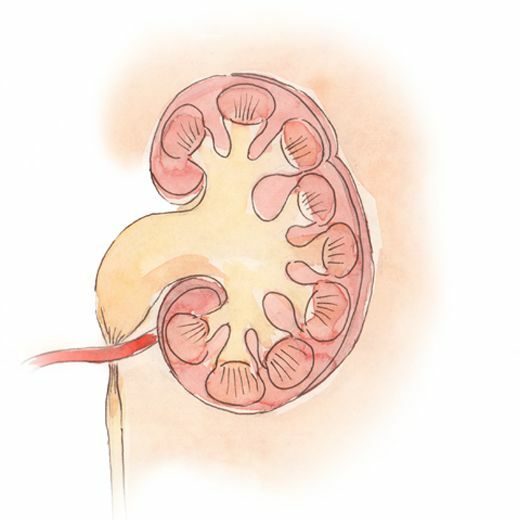 First, in cases of advanced last stages of hydronephrosis and second when the urethra is constricted by a tumour and stenting or paracentetic nephrostomy help avoid impared kidney function. “Intermittent dragging pain in the side. Went to a clinic, had an ultrasound, got a hydronephrosis diagnosis”; “Had practically no symptoms, went for a routine health check for work, which detected widening of the kidney”; “ Had sharp pain in the side, called an ambulance. Was told it was renal colic but there were no stones. Underwent some tests which detedced widening of renal pelvis. These are the words of the patients suffering from hydronephtosis. Symptoms don’t manifest themselves very vividly and then in a seemingly fit and well patient there is a shocking discovery – kidney disease. It is even worse if the condition is only detected in it’s 3rd stage and the patient is refferred by their GP to have the kidney removed. What an astonishingly strange illness, No pain, the patient is usually very suspicious of the doctor, when they are looking at the ultrasound screen quite concerned and tell the patient that more tests are needed. The doctor starts saying some words that are hard to understand: excretory urography, 3D CT scan with contrast and many other tests. Out of the blue a previously healthy person becomes a patient with a diagnosis of “Left kidney hydronephrosis”. There is confusion: Why do I need surgery if nothing hurts? What does this hydronephrosis even mean? From a conversation with a linguist. Hydronephrosis is a progressive widening of the kidney (it’s pelvis and calices) as a result of urethral constriction and disturbances in the dreainage of urine. Without treatment it can lead to kidney failure. Bascically the kidney is comprised out of two parts: parenchymatous tissue and pelvicalyceal system Parenchymatous tissue (or the fleshy part of the kidney) produces urine, which in turn collects in the renal pelvis and is drained into the renal duct and the bladder. And if in the place where renal pelvis meets the renal duct there is a constriction then the renal duct starts to widen and hydronephrosis develops. Disruption of urine drainage and widening of the renal duct. Decreased kidney function. Hydronephrotic transformation: kiedney tissue deterearation. “ If you find it difficult to explain to the patient the essense of their illness it means you have not quite grasped the essence yourself! And therefore are worthless”. A quote allegedly belonging to Professor Vishnevsky. 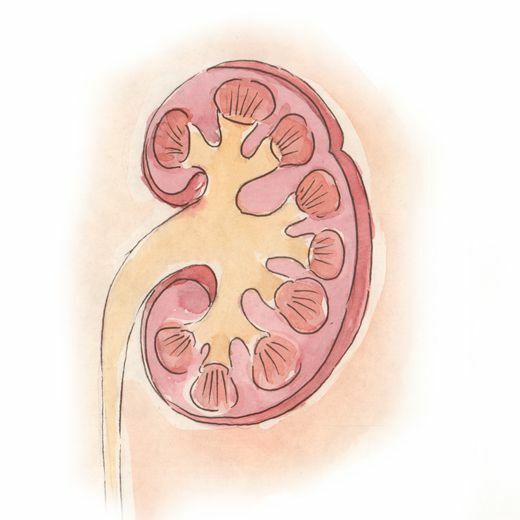 Hydronephrosis of the kidney: What is it and what is the outcome? One would think what’s the big deal, it’s just a widened kidney. No pain, feeling fine, it’s simply not logical to advise a woman against getting pregnant before an operation for hydronephrosis has been performed. Or not allow a pilot to fly, after all it’s only a bit of pain, so what? It is very important to understand that the condition develops slowly, the renal pelvis does not widen overnight and therefore there is no pain. But the increasing pressure on the renal pelvis leads to some functional abnormalities and the body finds itself unable to produce urine. Why produce it if the urine already produced does not drain. The pressure from within simply destroys the kidney, disturbs it’s blood supply by compressing all blood vessels and in the end causes it to die having turned into a urine-filled sack. When infection gets into this sack, where antibiotics cannot reach, where the immune system is not effective, it leads to purulent inflammation which in turn may require emergency surgery. This is why the widening of renal pelvis requires urgent diagnosis and prompt treatment. For any doctor the need to remove the kidney constitutes defeat because they were unable to save the organ. It is hard to even imagine what the patient feels when told that instead of a healthy kidney all that’s left is an empty sack that needs to be removed. 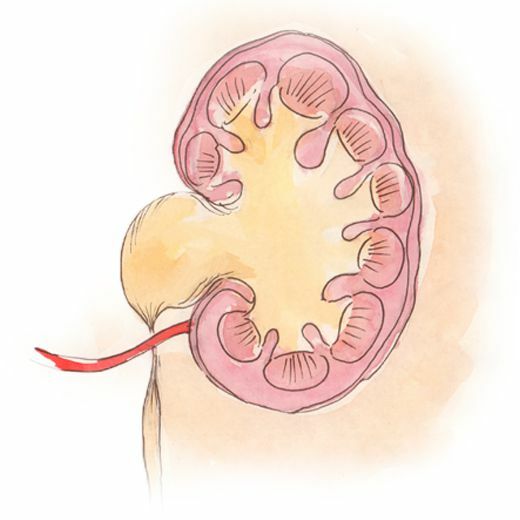 Hydronephrosis carries a risk of pyelonephritis, arterial hypertention and renal failure. Before me sits a young women in tears. She recently got married and they were planning to start a family. She went for a kidney ultrasound as part of pre-pregnancy checks and was hit with the diagnosis of right kidney hydronephrosis. - Wait, please don’t cry, - I give her a glass of water and smile. You have been referred here for a consultation and quite possibly not to have the kidney removed. Have you had a CT scan? Do you have a CD? I load the CD to play. It is rather strange but her right kidney looks completely normal. But the left not quite. Left renal pelvis is widened in the 3rd degree. I tell this to my patient. Oh yes, you are right, she says, left kidney hydronephrosis, not right kidney. I perform a 3D reconstruction of the pictures. I can clearly see the additional blood vessel of the kidney that is bocking the uretropelvic junction. The kidney function is severely decreased and this can be seen on nephrooscintigraphy so the doctor that recommended kidney removal was seemingly right. - Is there no other way? – Asks the patient with despair. Is kidney removal the only option? You must be able to do something when you diagnose double-sided hydronephrosis instead of removing both kidneys? - Your question is very valid. You see, if the drainage of the urine is blocked, be it from one kidney or both all our diagnostics tools, even the most powerful do not quite allow us to judge the remaining reserves of the affected kidney. The kidney is not functioning and technically it needs to be removed. - Well yes. Let’s do the following. We will place a thin tube called a nephrostomy tube into your kidney. This way we will remove the blockage preventing the urine from draining and will allow your body to utilise it’s reserves. If after one month the kidney recovers and starts producing urine we will perform a laparoscopic uretropelvic junction-plasty and will not have to remove the kidney. Treatment of Hydronephrosis starts with the correct and thorough diagnosis and identifying the cause of hydronephrosis. What is it: the additional blood vessel, pressing onto the UPJ, internal scarring due to the passing of a stone or a tumour, applying external pressure onto the renal duct? The most common cause of Hydronephrosis is the presence of an additional blood vessel of the kidney which presses against where the renal duct joins the renal pelvis and with time it creates a constriction which leads to the narrowing of the erwtropelvic junction. Is the kidney still functioning? Is there any point in trying to save it or is it nessesary to remove it? All these questions can be answered with the following tests: Ultrasound, CT scans and dynamic nephroscintigraphy. If the kidney is no longer functioning and has become the source of constant infection and arterial hypertention then unfortunately we have no choice but perform a nephrectomy and get the kidney removed. 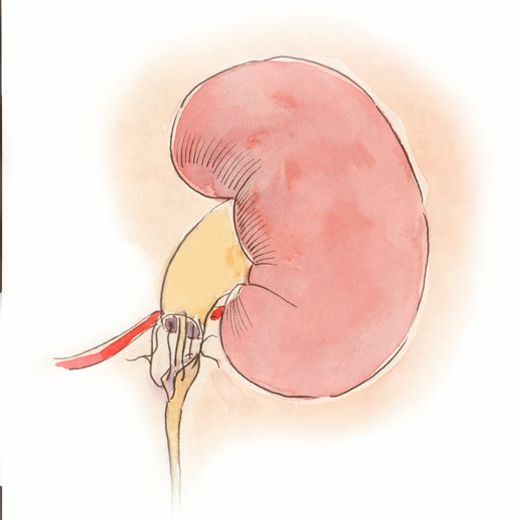 However if there is even the smallest chance that the kidney can be saved, surgical treatment of Hydronephrosis is recommended. This treatment consists of removing the narrowing of the urethropelvic junction. This will tell us if there is an infection present and allow us to determine the density of urine and therefore assess kidney function. ... a basic metabolic panel that measures blood urea nitrogen (BUN) and creatinine among other things and assesses kindey function as well as compensation abilities of the other kidney. Allows us to detect the disease and assess the size of renal pelvis and whether kidney stones are present. Is the most valuable of all tests. It helps detect the reason for the widening of uretropelvic junction. This test provides accurate information regarding renal function impairment and often saves the patient from unnesesarry removal of the kidney. In cases of doubt (questionable cases?) this allows to check for the presence of constrictions and stones along the whole of the renal duct as well as detect any tumours. Arterial hypertention is another hidden pitfall of this disease. The disruption of blood supply to the kidney makes the kidney produce chemicals that in turn raise blood pressure. To sum up it is safe to say that hydronephrosis poses a risk of infection, arterial hypertensia and risk of kidney failure. . 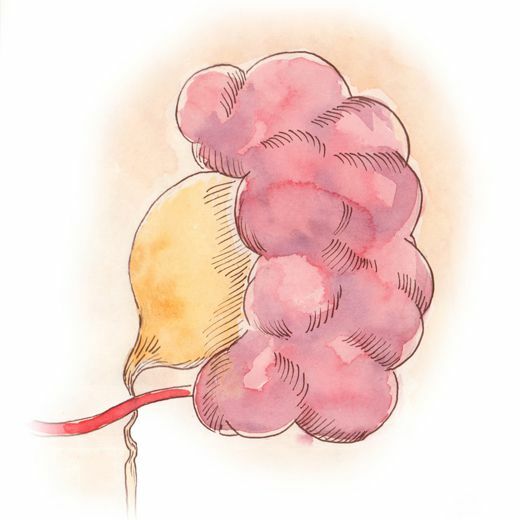 The essence of hydronephrosis surgery is in removing the cause of urine drainage obstruction. 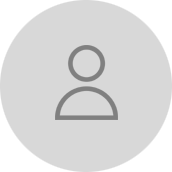 In most cases it is removing the narrowed part and restoring permeability of the junction. The final result: the constriction is removed and the blood vessel is moved to the back. We are then faced with a sort of a conundrum. 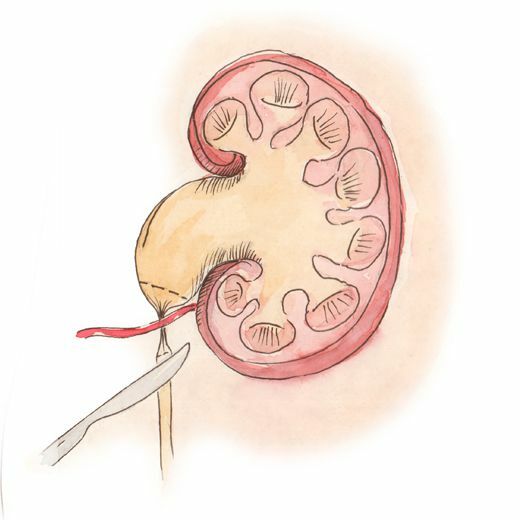 To remove a very small part of the renal duct that is preventing urine from draining and then apply a few sutures that will restore the junction we have to make a 20-25 cm insicion. The patient then risks infection, bleeding, adhesion and needs pain killers after the surgery. Not to mention the ugly scar and the risk of hernia in the area. . So what shall we do when we detect this disease? Operate or resign ourselvess to kidney failure? The way out in this situation is laparoscopic surgery for hydronephrosis which is a recognised standard in the US and Europe. 3-4 punctures which are used to insert the instruments allow us to avoid all the side effects of open surgery with a bigger insicion There is no pain, no inflammation or adhesion, no ugly scars and the patient is only hospitalised for 3-4 days. At the same time the use of specialised optical tools allows us to magnify?the area that is being operated on up to 10 fold and carry out the hydronephrosis surgery with maximum precision. Laparoscopic surgery is performed with 3-4 punctures which are no bigger than 5 mm. We use mini laparoscopic instruments for laparoscopic Hydronephrosis surgery. Laparoscopy allows us to magnify the surgical area up to 10 times therefore seeing more clearly and avoid accidental damage to even the smallest blood vessels. The lack of single wide incision through the skin and the muscle by itself guarantees the patient the absence of post surgery pain. The 5 mm puncture simply does not hurt as much. As the abdomen cavity remains intact the abdominal organs do not come into contact with the environment. The microbes simply cannot get there and cause any inflamation. The patient can be discharged to go home two-three days after laparoscopic surgery. And return to work after one week or even earlier. Unlike open single insicion surgeries, laparoscopic surgery for hydronephrosis never causes hernias. This is simply due to the absence of incision. - Hello doctor, may I come in? – My patient stands in the doorway. It has been a year since her surgery. - Please come in, I say, and note with surprise that she is 5 or 6 months pregnant! - My patient laughs. – They have sent me here from the maternity clinic to get a kidney ultrasound just to make sure everything is ok. Everything is fine! I just though I’d pop in to show it to you. - I look at her ultrasound pictures and everything really is fine. 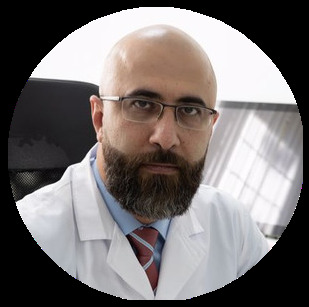 If you require treatment for hydronephrosis in Moscow please contact us. We will arrange admission to hospital on the same day you arrive and will carry out all the nessesary tests and investigations and perform the surgical procedure one or two days after your arrival. You will be able to return home after 4 days.